The history of design has been shaped by the European lineage of art and design. This has its origin in Greek and Roman art, with European notions of beauty carried through the ages. From the golden ratio, to the accepted aesthetics of a landscape painting — even now, this drives the narrative of what is “good” taste, and “good” art and design. But recently, these notions are being challenged. E ngunguru nei! There are rumblings, within academia at least, of discontent. Early last year, a group of academics courted controversy when they called out Britain’s Design Research Society, one of the world’s most reputable design research communities, for their dismissive response to the group’s paper on decolonising design. AIGA, the American Institute of Graphic Design, recently posted an article lamenting the fact that within the United States little has been done to develop a design practice that might be shaped by local indigenous culture. These protests can be seen as part of a movement towards “decolonising design”. But what does this mean to designers and design educators within Aotearoa, and why should we care? To understand how design can be decolonised, first we have to understand design’s colonising effect. In essence, mainstream design has a homogenising effect on local culture. Firstly, the positioning of good design in Europe and North America dispels any notion that Māori culture might contribute to the development of local design. Trapped in museums, the vast array of Māori designed objects (tools, clothing, buildings and so on), are looked upon as quaint primitive artefacts of a time long gone. This has conveniently allowed many who teach design in New Zealand to avoid engaging with Māori ideas about visual culture. Secondly, our outward gaze and reliance on design models from afar has created something of an identity issue for New Zealand design and designers. At the 2015 Helix symposium the most elusive topic, sadly, was that of New Zealand’s unique design identity. As the kōrero shifted through the usual clichés about New Zealand design — the diverse landscape, number eight wire, can-do attitude or geographic location on the edge of the world — I suggested that maybe the thing to make our design unique, like our country, is Māori culture. Thankfully there is evidence of this happening already. Bicultural approaches in design are seen increasingly in branding, identities and logos – particularly within Government agencies — incorporating Māori imagery. In expressing the validity of the local visual culture, in this case Māori, design is being decolonised. A change in company culture can also help. Architecture firm Jasmax is an excellent example of how tikanga Māori can be embraced into a Pākehā cultural context. When arriving at the firm to give a presentation on Māori design, I was surprised to receive a powhiri, or formal Māori welcome. This and other Māori cultural practices are normalised within the firm. However, for us to develop a truly unique design culture, we need to work on how we educate our rangatahi. And it must go beyond inserting ‘Māori content’ into the curriculum. For a true culture shift to take place in New Zealand design we must employ tikanga Māori in the classroom. Because it is only through this process of meaningful engagement that our next generation of designers, most of whom are Pākehā, will be able to express what makes us and our design culture unique. Additional reading: Does Culture Matter for Product Design? 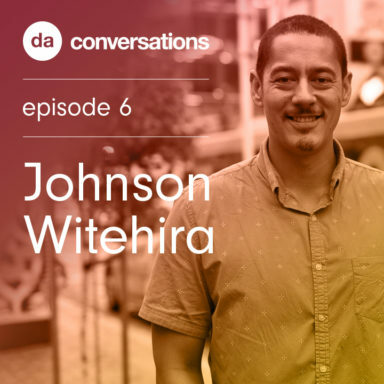 Johnson Witehira is a designer and artist of Ngā Puhi (Ngai-tā-te-auru), Tamahaki (Ngāti Hinekura), and Pakeha descent. He graduated from the Whanganui School of Design in 2007, going on to complete his Masters. His interest in Māori visual art led then him to Massey University where he completed a doctorate (2013) that explored both the aesthetics and tikanga in customary Māori art. 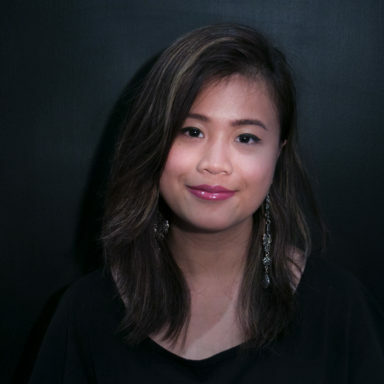 As an artist, Witehira’s work often explores identity and the space between cultures. He has worked on a diverse range of creative projects, from solo and group exhibitions, to public art including murals, light-box works and projected light installations. In 2012 Witehira’s work was exhibited in Times Square, New York, in the first ever syncronised display of digital content. In his Land of Tara (2014, Wellington) series Witehira created a collection of graphic representations of the capital city’s ancestors including Kupe, Whatonga, and his sons Tautoki and Tara. More recently Witehira was invited to show his work at the prestigious Talente Munich in Germany (2015). Welcome back to Design Assembly Conversations for 2017. In this series we talk to New Zealand graphic designers, hear their stories, and celebrate their work. I’m Louise, and today I’m talking to Johnson Witehira. Johnson is an artist and graphic designer from Wellington. Currently he has his own graphic design practice and teaches at AUT University in Auckland.